After much deliberation I finally purchased the holy grail of eyebrows – Anastasia Beverly Hills’ Dipbrow. According to their marketing, the product is supposed to be “the easy-to-use, long-lasting answer to eyebrow perfection, whatever the natural state of your arches. This tinted, creamy formula is waterproof, smudgeproof and ideal for creating defined, natural-looking brows that won’t run down your face if you’re caught in a torrent, or melt in a hot (foreign) climate.” Sounds dreamy, right? After a week of researching the product I decided I needed Dipbrow in my life so I went searching. Turns out it’s not actually available to purchase in store anywhere in London. Luckily Cult Beauty’s website stock all of the colours available and that dearesr readers was my new dilemma – what colour? My hair is naturally very dark brown but at the moment, I’ve had it ombred into a warmer/lighter brown. Previously when I’ve used eyebrow gels and pencils I’ve disliked the chocolate brown colour on me. It’s too warm for my face and it didn’tfit well with my hair colour and complexion. After searching how all the colours looked individually, I noticed that on Cult Beauty’s website there was a new colour that I had not seen before called Granite. After a bit more research I found out that it was made for girls with very dark brown or black hair with cool or ash tones. Despite it not matching my hair colour yet, I’m going to go back to dark hair so I decided to bite the bullet and purchase ‘Granite’, thinking that maybe it would help take the warmth out of my face. The package arrived within a few days (thanks Cult beauty!) and came beautifully packaged. The product comes in a glass pot, similar to that of gel lners such as (MAC gel liner or Maybelline eye studio) but slightly bigger. No complaints there! Do I need to purchase a brush with my Dipbrow? I searched all the ends of google to find an answer for this and I didn’t find one. I didn’t want to buy the pomade and end up not being able to use it for lack of beauty tools. I’m a newbie to this stuff so you will have to excuse me! In the end I thought I would rather be on the safe side and ordered a brush along with it. 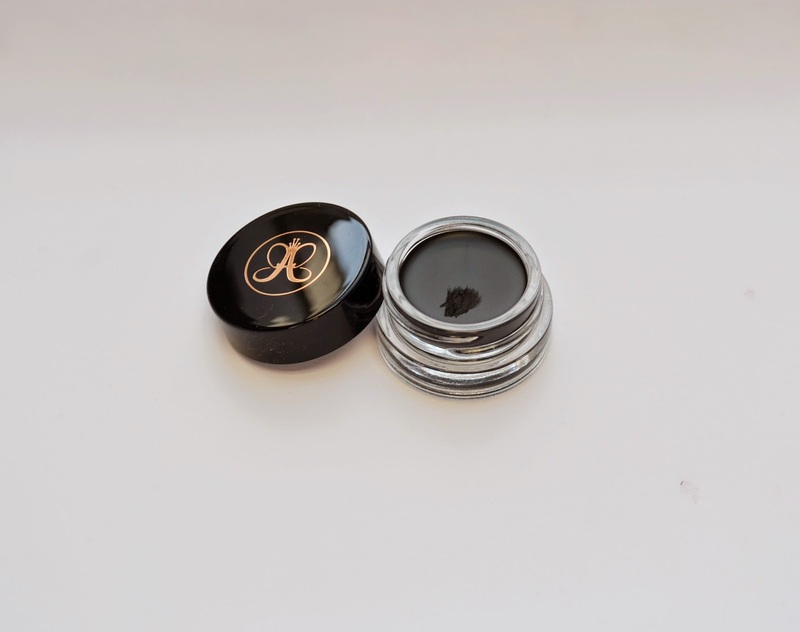 Cult Beauty recommend Anastasia Beverly Hills #12 and after a quick look at it online I purchased it. Read my review of the brush here. How good is the product really? The formula is very pigmented, and by that I mean it is seriously dark! Although this is really fantastic, it does take some getting used to so you are able to judge exactly how much to get on to your brush. I tried it for a few days and eventually realised that you really only require the smallest dip into your pot to be able to get a good amount transferred on to your face. It makes me feel so much better about spending £15 on it because I know it really will last a very long time. Granite? What’s that like then? Now I’m not sure if Granite is a new colour per se but I’ve not seen many swatches online for it. The colour is a very dark grey. Brilliant for eyeliner, Not so great for eyebrows really. 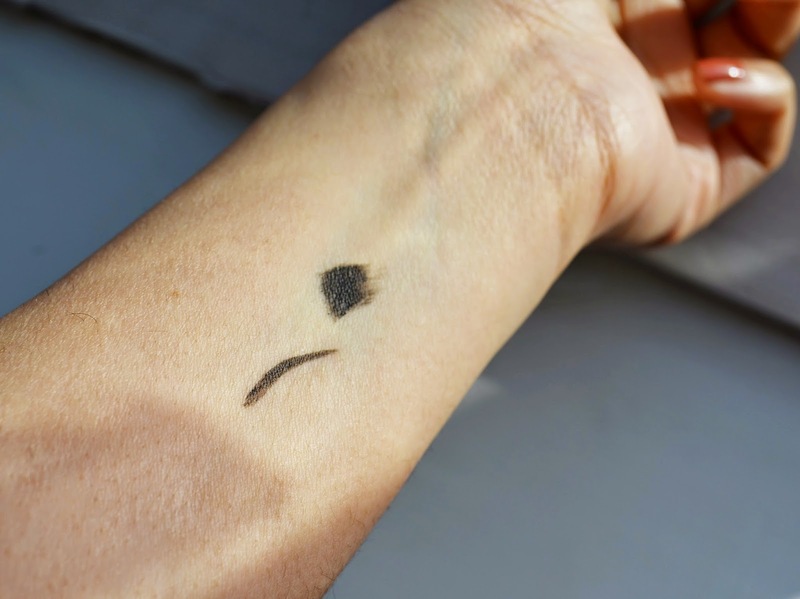 The colour isn’t just black so using it as eyeliner gives me a more natural lined look. With winter in full swing and the unpredictable British weather in play I was looking for something that was weather-proof to use on my face. I tried out the product every day this week and found that even after rain, humidity, gym, and a whole heap of naps, the product doesn’t budge! I can definitely see why this is a cult beauty product and I’ll be fighting the urge to buy it in every single shade, you know – just in case! 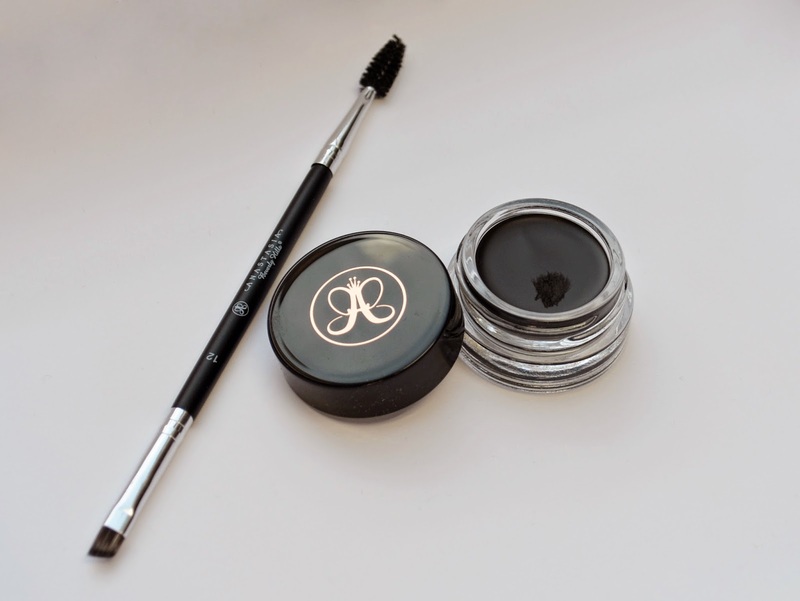 Have you tried Anastasia Beverly Hills Dipbrow? What are your thoughts on it?